Why Do You Need Attribution Modelling? 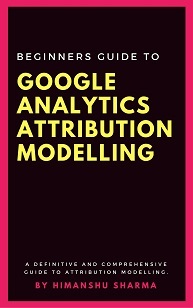 If you are an avid reader of this blog, you most probably know what attribution modelling is. I have written dozens of articles on Attribution Modelling on this blog. But do you know what ‘Marketing Mix Modelling’ is and is it same or different than ‘Attribution Modelling’? Marketing mix modelling (MMM) is a set of statistical analysis techniques which are used to measure and forecast the impact of various marketing activities on sales and ROI. It is used to measure the overall marketing effectiveness and determine optimal ad spend among various marketing channels. The word ‘mix’ in MMM refers to the mix of the 4Ps of marketing (Product, Price, Place and Promotion). In MMM, we carry out data analysis with the aim to understand and find the optimal mix of these 4Ps. Regression analysis is also carried out to forecast the impact of various marketing activities on sales. 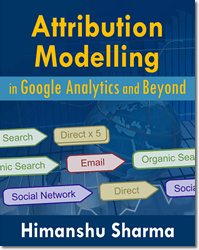 ‘Attribution Modelling’ can be considered as a subset of MMM where the focus is on understanding and finding the optimal mix of ‘digital’ marketing channels. Pay special attention to the word ‘Digital’ here. We use attribution models to measure and understand the impact of digital marketing touch points in a conversion path and to determine most effective marketing channels for investment. 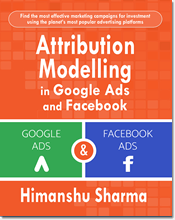 So in the context of digital media, Marketing mix modelling can be referred to as ‘Attribution Modelling’. 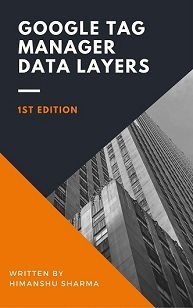 However unlike MMM, implementing attribution modelling is pretty lightweight, in the sense that it usually does not involve direct and heavy use of statistics by an ‘end user’. Whatever statistical analysis that is carried out, is by the attribution model itself. So you don’t need a master’s degree in statistics to implement attribution modelling. This is one advantage of attribution modelling over MMM. 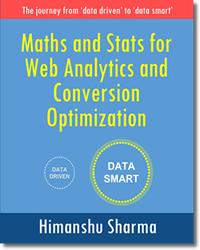 The other advantage is that, since you do not heavily use statistics to create attribution models, your models are less prone to statistical errors (as long as you use high quality data to feed your models). You may be wondering at this point that, Marketing Mix Modelling has been around for decades and sound very much like ‘Attribution Modelling’. Then why do we need attribution modelling? Why not just use ‘Marketing Mix Modelling’? The problem with MMM is that, it is much older than the internet itself. The concept was first introduced when there were was no digital media, no search engines, no web browsers. And somehow it just couldn’t catch up with the digital age. Now I am not implying that MMM is an outdated set of techniques. It is still very much relevant and has its own place. It just doesn’t work well when it comes to digital marketing mix modelling. Unlike MMM, attribution modelling provides much more control over optimizing various digital marketing channels for ROI. This level of control comes because of the immediate and real time access to digital data at an individual user level. 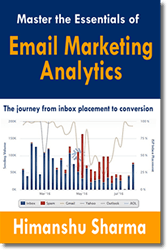 Unlike MMM models, attribution models natively integrate with your web analytics data. 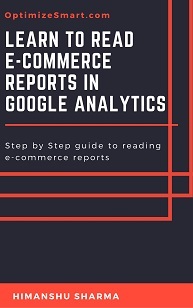 For example the attribution models provided by Google Analytics natively integrate with GA. The ‘Data Driven Attribution (DDA) Model’ provided by GA can be integrated with several Google and non Google digital data sources. 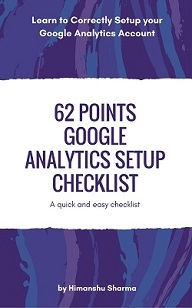 For example, DDA model can integrated with: Doubleclick Campaign Manager, Google Adwords, Google Search Console, Google play, Google Bigquery etc in addition to Google Analytics. Such type of integration make it possible for attribution models, to access users’ data in real time which makes attribution modelling much more accurate and accountable. MMM models are often built on outdated and highly aggregated data. The data is outdated in comparison to the real time data which feeds an attribution model esp. algorithmic attribution models (like Data Driven Attribution Model). If your business has both online and offline presence and you carry out both online and offline marketing then you are an ideal candidate for integrating Attribution Modelling into MMM. For example if you are retailer who has got both physical and online stores and you are actively involved in both online and offline advertising then you are an ideal candidate for implementing both MMM and attribution modelling. The main advantage of Attribution Modelling and MMM integration is that, you can feed the attribution modelling data to your MMM model and can more accurately measure the overall marketing effectiveness. You can also more accurately forecast the impact of both online and offline marketing activities on sales and ROI. 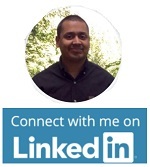 Remember, true multi channel analytics is nonline i.e. it is neither purely online nor purely offline. So we can’t afford to measure online and offline customers purchase journeys in silos. We need to learn to understand the complete customer purchase journey which takes both online and offline touchpoints into account. We now know that, both online and offline marketing campaigns and touchpoints impact each other. We also know that, in the world of multi channel marketing, no single marketing channel is solely responsible for generating sales. Different marketing channels work together to create sales and conversions. So in order to truly understand the overall marketing performance, we need to take both online and offline marketing touchpoints into account.